Love You to Death is a serial killer thriller packed with twists. 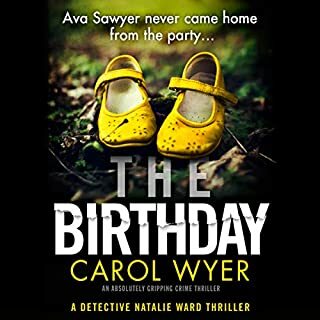 If you like Karin Slaughter, Angela Marsons and Val MacDermid, discover Caroline Mitchell's new series today. What did you love best about Love You to Death? 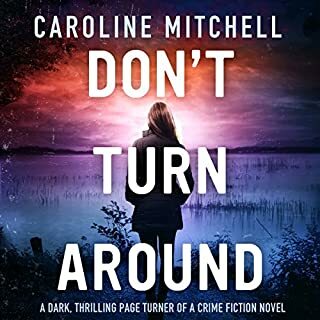 This is a great listen, and the first by Caroline Mitchell to really grab hold of me and relentlessly keep me interested. The first in a new Mitchell series featuring DS Ruby Preston, Shoreditch police are up against a truly villainous killer who preys on women who have long ago put a child up for adoption. DS Preston walks the edge as a devoted cop with age-long tenuous ties to the criminal underworld, and deftly shows her struggle to play it straight while sometimes resorting to reaching out to gather intelligence from unsavory characters. What does Emma Newman bring to the story that you wouldn’t experience if you just read the book? Emma Newman's narration was pitch-perfect as she dealt with a wide range of characters and accents both male and female. Her narration lends much to the story. Absolutely, and I nearly did, without being toooo late for work! I highly recommend this book. 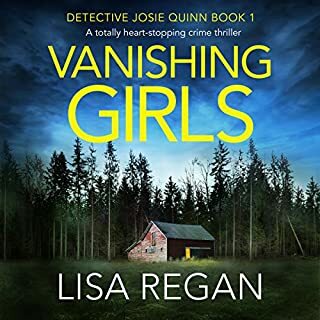 It's got everything great going for it as a psychological suspense novel as well as a fine mystery- wrong turns, grisly crimes, seedy underbelly and laudable cops, and a damn scary killer. I really liked it and look forward to more in this series! Yes! The narrator wasn't the best but it's hard to do anything bad to this story. It would pull you in no matter who is reading it to you! She wasn't a bad narrator but there are better. Can you imagine….doing what you think it right and the best for a child, your child, and later that child comes looking for you with a twisted happily ever after dream?! That’s what this book essentially is about. There’s a lot going on in this book and we get introduced to a lot. I can’t wait for book two. I want more Ruby and Nathan!! I get excited for Mitchell’s books for a lot of reasons but her ability to make characters come alive is a gift, not just her main characters either, I want more of Eve, Worrow, Downes, and Cathy! You can tell everyone has some secrets behind their doors! I really like when I get to know the people behind the story. Ruby sounds like she’s going to have a super interesting story and I like her love triangle. Both her options at love seem to be good choices, but of course, she wants the one that’s a bit more difficult. Life can never be easy, especially in a thriller! I was through this book in 3 days! I just gobbled it up. I pride myself on being able to pick out the murderer pretty quickly in books, but this book, I was never sure. I thought I knew who it was but it was only who Mitchell wanted me to think it was. This storyline is just superb!! I can tell you, you will NOT know the ending until you get there!! It’s a shocker! YES!! I've read the book but even reading the book you can't help but get into the audio book. I listened to this withing 4 days. It was great!!! I only took 1 star away from the performance because I felt like the narrator could have tried harder but that isn't on the book. If you don't want to listen to the book you HAVE to read it!! It's such a good book! It took a long time for me to get into this book. The narrator droned on, seemingly unable to do more than just read the words in the book. Perhaps a different narrator would have made this book easier to get into. Nonetheless, there finally came a point where I did not want to put the book down. I'm glad I kept listening because the ending was a complete surprise and actually made the book worthwhile. However, I will not be buying the sequels. With audible books, the same narrator usually does all the books in a series, and I do not look forward to listening to her again. I bought this book because I love Truth and Lies by the same author but with a different narrator. I have mixed feelings about this book. It was really ridiculous but it's also very entertaining, sort of like a bad movie that you love to hate. Lame dialogue. Half romance novel/half police procedural. There were no clues about the killer, and then the author just conveniently came up with him/her at the end. Having said all that, I was entertained. Ms. Newman's performance probably made this better than it actually is. I'll probably not move on to book 2 in the series. I have mixed feelings about this book. It is really ridiculous but it's also very entertaining, sort of like a bad movie that you love to hate. Lame dialogue. Half romance novel/half police procedural. There were no clues about the killer, and then the author just conveniently came up with him/her at the end. Having said all that, I was entertained. Ms. Newman's performance probably made this better than it actually is. I'll probably not move on to book 2 in the series. Hmmm. I'm not quite sure how to rate this. It certainly wasn't a thriller. It wasn't a police procedural as I understand the genre. It wasn't a romance, although it had elements of all three. It did have interesting characters but how they fit together wasn't always clear. This reminded me of the old Perry Mason tv series where, at the end of the show, the criminal would be revealed using evidence that had never been disclosed to the audience. The readers weren't given all the facts during the story. The ending was a puzzle because of that. Things that make you stop and say "What??" Ruby is a very interesting character and her life-long friendship/relationship with Nathan is something I'd like to read more about. For that reason alone I will continue with the next book. I listened to the audiobook and the narration was good except for the Northern Irish accent which sounded to me more Dublin than Belfast. This was a little slow to get going but I started really liking the characters and found my self not able to stop listening to it. A complex plot in which a sadistic and sick serial killer is finally caught. The personal lives of the Police officers added even more intrigue as personal and professional aspects of their lives become involved in the crimes. 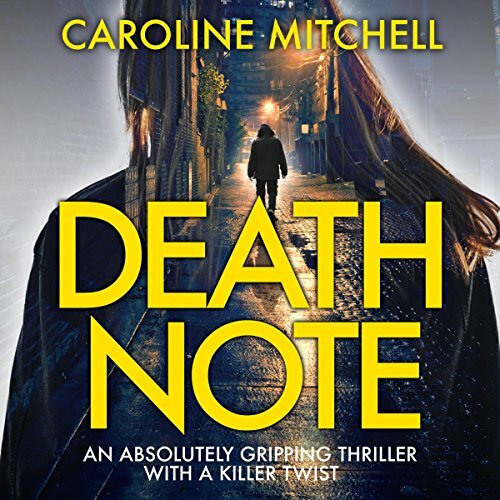 An unforgettable,gripping and twisted tale by the deliciously talented Caroline Mitchell. Compelling and dark with wonderfully crafted characters, impeccably written with a captivating, unpredictable, explosive ending. Highly recommended reading for the crime genre lovers. 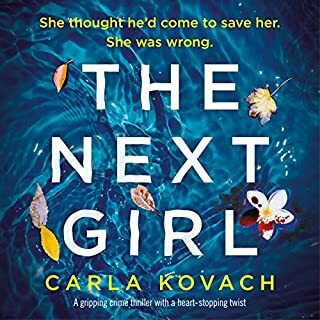 Definitely one that will garner legions of fans and hopefully spawning a steady release of books featuring the brilliant Detective Ruby Preston. In short, a book that will grab you by the balls and won't let go. Loved it. 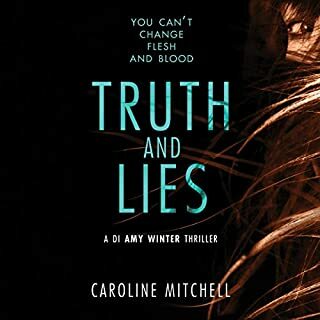 great book loved it.narrated well highly recommend it a must read love caroline mitchells books. Was really looking forward to listening to this book after having listened to Silent Victim which I absolutely loved in every possible way, but alas this story was too dark wirh too much blood and guts and I don't think the narrator was anywhere near as good as the narrator for Silent Victim. loved it never in a million years did I think, it was the killer that you wrote about, what a mind you have, cant wait for the next book, I wont say who it was it might spoil it big time brilliant ! I love a police series so when I saw this i thought why not give it ago. Had a lot of twists and turns throughout good overall story with a lot of interesting characters. The narrator did a good job giving each one a voice and performance just sometimes felt she was dwindling a little but not bad at all. Enjoyed it, got me grip. very well written. Some of the Narrator's accents were very amusing. Really enjoyed the story and the narration. Lots of twists and turns to keep you on your toes and a good explanation at the end! Cannot wait for the next Ruby Preston instalment and I have now purchased all three audio books!